Electric, hybrid and range-extender vehicles will become accepted as the industry norm by users in the same way consumers have accepted advancing mobile phone and flat-screen television technology, according to a pioneer of the technology. Henrik Fisker, the man behind the imminent launch of the luxury range-extender Fisker Karma hybrid saloon, said commentators who dismiss electric cars as expensive should look at advances in other areas of technology as proof that the electric car will soon have its day. “Look at flat-screen TVs and smartphones,” Fisker told the World Future Energy Summit in Abu Dhabi today. “When they first came out, no-one said they’d never catch on as they were too expensive. “Everyone’s is buying a flat-screen TV and smartphone now and no-one who’s done it is going to go back to the old technology. Sure, an old TV may have just as good a picture as a flat-screen but that didn’t stop them taking off. 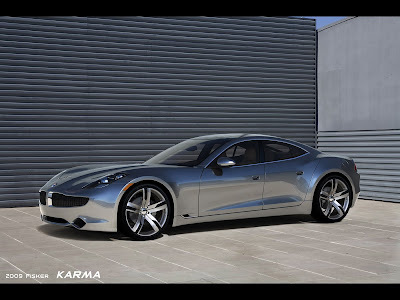 Fisker believes the Karma will take off as “desire delivers the success of any new consumer technology”. Building on his comparison to flat-screen TVs, Fisker said that technology launched with a price tag of around $20,000 in 1997 but had dropped to around $500 now. The same will happen with electric cars, he believes. Fisker also described the range-extender technology at the core of his new Karma saloon as “the ultimate freedom”, as it offered emissions-free motoring for most journeys and the luxury of being able to fill up with petrol for longer trips. “Range is equal to freedom,” he said. “Range-extenders will emerge as the core powertrain in the mid-market and will take off in the next few years,” said Fisker, a sector he said included 5-series-sized saloons.